Whatever your politics, it is not easy to get at the truth about Nicaraguan President Daniel Ortega, a man whose supporters and detractors often appeared to have taken up their positions long ago and clung to them rigidly, new data be damned. His recent landslide re-election victory is a case in point. There was no denying that Ortega had a strong lead, consistently polling over 10 percent (sometimes a lot more) above the nearest challenger in the months leading up to the ballot. However, a range of onlookers from the U.S. government to Transparency International, as well as the Organization of American States, have pointed to some degree of irregularity in the electoral process. As Ortega defenders rightly point out, the U.S. is hardly an impartial observer when it comes to Ortega. Washington has expended a lot of energy over the years on anti-Ortega skullduggery, funding the murderous Contra forces against his Sandinista rebels, imposing economic sanctions when he first came to power in the 1980s, and now, in a new century, declaring long before the elections took place that they would most likely be illegitimate. But however prejudiced some of Ortega’s critics may be, and however questionable their judgments, none of this means that the elections were carried out in a patently fair manner. Ortega’s overturning of legal restrictions on the sitting president standing for a second consecutive term was not entirely legitimate; the somewhat tilted Supreme Court issued a controversial ruling to allow him to run, which bypassed the need for Congress to amend the constitution. Equally clear is that Ortega was incontestably heading for a win in the most recent vote, regardless of the weight of any electoral fraud that may or may not have taken place during the voting process. This contradiction—an election allegedly stolen by the man who arguably would have won the contest in any event—is an example of the complexities that make it so difficult to get a firm handle on Ortega’s vision. This is due not just to the divisive sentiments he inspires in onlookers, but to the deep ambiguities in the man and his modus operandi. He has changed profoundly, and not always for the better, over his four decades of near-dominance of Nicaraguan politics, morphing from guerrilla and left-wing guru to a devout Catholic and often banal pro-business leader. Ortega is not alone in following this zigzag trajectory. With the attractions of the Cuban Revolution in decline after the unraveling of the Soviet Union and the general fading of Marxist economics, many Latin American leaders, in a practical sense, have stepped away from their socialist ideological roots. 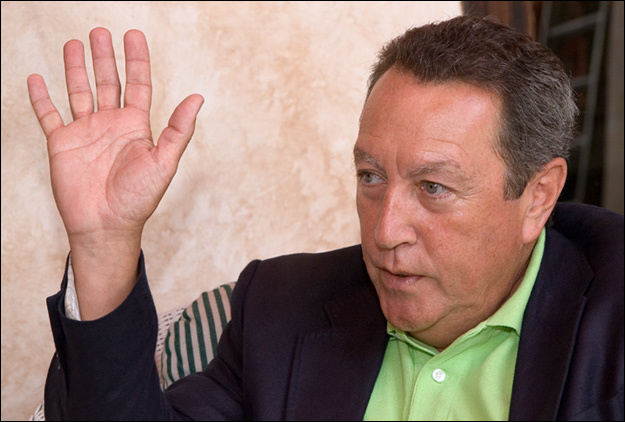 In the broad outline of his de facto conversion, Ortega is following a crop of other reformed Latin American leftists who have tempered their radicalism in order to maintain the power they had won in a post-Soviet world order. Peru’s Ollanta Humala springs to mind, as does, to some extent, El Salvador’s Mauricio Funes, and certainly Brazil’s Lula da Silva. Ortega has gone out of his way to present a business-friendly face to the world, holding meetings to reassure business representatives of his benign intentions towards them by promoting free trade zones (FTZs) where companies can enjoy hefty tax breaks and a docile labor force. He has committed to honoring the country’s debts, and has kept economic policy in accordance with International Monetary Fund guidelines. To a degree, this economic pragmatism has paid off; Nicaragua has seen respectable GDP growth under Ortega’s most recent term in office, falling somewhat in 2009 amid the world economic crisis, but rising again by 4.5 in 2010. It is expected to expand 4 percent in 2011. Foreign direct investment (FDI) rose 17 percent in 2010 from the previous year, and is set to more than double in 2011, according to figures quoted by the Nicaraguan outlet Confidencial, to over USD 1 billion. There is no doubt that Ortega has targeted the U.S. market as a major source for the country’s growth. The verdict of “having it both ways” also applies in ideological terms. While he frequently joins Chávez in railing against the “Yanqui dollar,” Ortega is single-mindedly making every effort to present his country as an inviting business environment for U.S. commercial ventures. The U.S. has historically been Nicaragua’s largest trading partner, and currently absorbs some two-thirds of its exports. 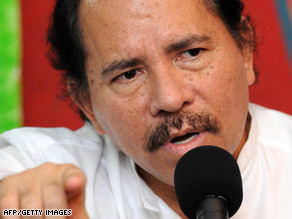 Despite his fiery rhetoric on the campaign trail and promises to reform or repeal the Central American Free Trade Agreement (CAFTA), which came into force in 2006, Ortega has been careful to work within its parameters since he returned to power later that year. In fact, Nicaragua has been one of the biggest beneficiaries of CAFTA, seeing a 70 percent rise in exports to the U.S. since it was implemented. This gap between his words and actions has caused confusion amongst onlookers, including many party zealots. Before the 2006 elections, then-U.S. Ambassador Paul Trivelli told the Financial Times that, if Ortega regained power, “it’s pretty clear that what would happen would be the introduction of a Chávez model here on the Isthmus.” He went on to declare that the U.S. was concerned about a rollback of the free-market reforms that had taken place since Ortega first left power in 1990, and by the candidate’s threats to repeal or alter CAFTA. Indeed, it is questionable how deep Ortega’s free-market conversion really goes; Nicaragua still ranks fairly low in the World Bank’s “Ease of Doing Business” ratings, at 24th of 32 countries in the region. The ease of tax-paying is one factor dragging down the score. The ranking notes that Nicaragua’s tax rate is significantly higher than some of the other countries in Latin America and the Caribbean, at more than 66 percent of profit. And while FDI is on the rise, more than doubling last year to USD 508 million from its average range between 2000 and 2005 of USD 219 million, some analysts question how sustainable this is. A report in Confidencial points out that most of this investment takes place in the FTZs, and that although Nicaragua can attract certain categories of investment due to its cheap labor costs, it does not have the strong institutional framework and confidence in government to keep overseas investors coming in growing numbers. The government’s social and welfare schemes make up a significant portion of many Nicaraguan families’ income, and have lifted many rural dwellers above the poverty line. This is laudable, but critics argue that, rather than investing in ways that would help the poor in the long term (like diversifying the economy), Ortega has too often focused instead on vote-winning handouts. Despite the emphasis in many media reports on Venezuela’s bilateral assistance since 2008, the Ortega government has seen other sources of support dwindle in that same period, with the amount of aid from the U.S. and Europe falling following allegations of irregularities in the 2008 municipal elections. The U.S. State Department puts the vanishing support from EU donors at USD 90 million per year, while some reports estimate annual losses as high as USD 500 million, which would offset the entire portfolio of economic assistance that the Managua government is reportedly receiving from Chávez. Part of the reason for Ortega’s ideological cooling is likely the changing international climate, though it also brings to mind the maxim that any man who is not a liberal at twenty has no heart, while any man who is not a conservative at forty has no brain. However, a large part of his political makeover is likely inspired simply by a desire to hang on to power, and the recognition that this means keeping business interests happy and U.S. investment flowing. Ortega’s mixed bag of policies certainly has not pleased his old ideological comrades in arms from the FSLN days of glory, leading to the split of the Sandinistas over the last decade. Another of Ortega’s ideological proclivities, and one of the main things that has alienated his former colleagues, is his willingness to make deals with the conservative opposition party in order to gain and keep power. A pact with conservative President Arnoldo Alemán in 1999 brought about the lowering of the threshold to win the presidency to 40 percent (or over 35 percent, given a five-point lead over the nearest contender), which allowed Ortega to return to power. Many of his old Sandinista allies have split from the FSLN, alienated by his courting of business interests. One prominent former revolutionary recently summed it up by saying that Ortega is a “liar” who criticizes “unbridled capitalism” even as he puts it into practice himself, highlighting his “neo-liberal” reforms to the social security system. In his efforts to stay in power, Ortega has even resorted to the old-fashioned flying of the bloody flag of patriotism, fanning an ancient border dispute with Costa Rica, which without question has helped to raise his popularity. Thus, by cozying up to business, and spending lavishly on social programs, Ortega has been able to keep two important cohorts relatively content: the rich and the poor. The third key member of the triumvirate is the Catholic Church, and indeed this belated believer has been able to maneuver to keep this group happy as well. One of the values that Ortega decided he had to sacrifice in order to return to power related to the question of abortion rights. Nicaraguan women have never had access to elective abortion, but the procedure had been legal for more than 100 years in cases where the woman’s life was in danger if the pregnancy continued. As a revolutionary and then as president or maximum leader throughout the 1980s Ortega had supported abortion rights, but in 2006 he gave his backing to legislation which banned abortion even in cases where the fetus had no chance at life, or where a girl who was too young to safely bring a baby to term had been raped. The legislation was passed just days before the election, mollifying his critics in the Catholic Church, in what some commentators have identified as a key factor in bringing Ortega back to power. Fred Morris, an Ortega specialist lists among the achievements of the Sandinista government that it has “provided a pregnant cow or sow to some 10,000 head-of-household women in the countryside [and] made interest-free loans available to the same group.” Of course, Ortega’s policy of preventing women from terminating pregnancies in any circumstances means that there will be more single mothers in need of this type of assistance. The key to understanding Ortega’s political longevity and comeback ability, despite defeat after electoral defeat, may be in these very contradictions. One thing that seems clear is that his ideological contortions to keep the church, the poor and business all happy cannot be maintained in perpetuity. One key factor in staying in power is the flow of additional financial sourcing, and Nicaragua is striving to keep its donors at least minimally happy because President Chávez’s largesse cannot be counted on indefinitely. Indeed, Chávez’s bout with cancer and the early signs of a strengthening opposition within Venezuela has to be troubling for Ortega. Nevertheless, it seems likely that the Nicaraguan president will manage to modify his stance on enough issues to juggle his links to key suppliers and partners. After all, he has demonstrated extraordinary skills over the years in hanging on to the presidential sash through fair means and foul. To read more about Nicaragua, click here. Hannah Stone, a graduate of the University of Oxford and the London School of Economics, writes for InSight Crime, the Pan-American Post and other publications. COHA welcomes her affiliation with the organization.